Hit the TRAILS with a bike or your feet—either way you will have a good time. TRAILS = bike, hike, run, and more! 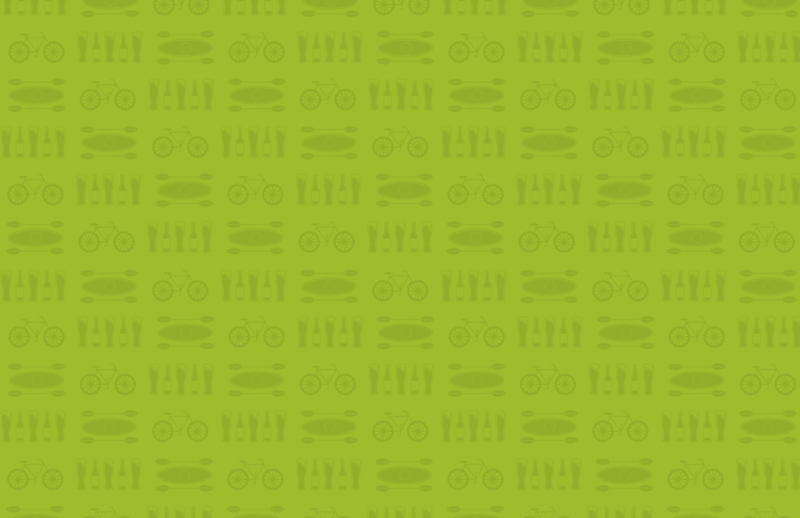 Bring your bicycles to town! FREE organized road and mountain bike rides will be happening during the daytime on Friday, Saturday, and Sunday. 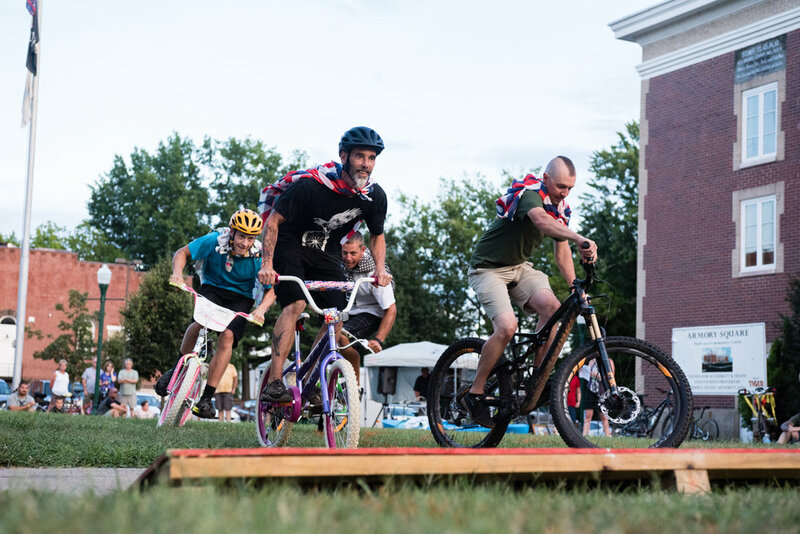 Other bike-friendly events this year will include Family Fun rides, a Bike Parade, The Tortoise & Hare Race, and a town Scavenger Hunt (by bike!)! For the longer road and trail rides, stop in to get directions & maps to head out on your own, or join the group rides Friday, Saturday, and Sunday at the East Muskingum Park. You set your own pace. All rides are unsupported, and [likely] hilly. Don’t forget all necessary gear, helmet, snacks, and water! Mountain bike rentals are available from Marietta Adventure Company. *Note: Road rides and city MTB rides will leave by bike from the East Muskingum Park in downtown Marietta, OH. All group rides will take place on the Marietta City Trail System, 20+ miles of quality singletrack trails ready for action! The trail system is accesible from downtown, making it easy to head back for a burger and brew after your ride! Also nearby, the Wayne National Forest boasts 40 miles of slightly more technical riding and Mountwood Park has an incredible trail system as well. If you head that direction (on your own), come back to town for evening fun! Washington County boasts some of the most scenic road riding in the state! Cruise out for the morning or afternoon and enjoy scenic farms, hilly wooded landscapes, and nicely paved roads. All Group rides leave the Armory. Check the schedule for route options. If you prefer to head out on your own, stop by to pick up a free map and route directions. Remember! Group rides have ride leaders but are unsupported. Bring all water, food, and repair items that you may need. Another great thing about the Marietta City Trail System is that we have miles and miles of prime trails for running or hiking right here within the city limits! There will be a group Trail Run Sunday morning at 9am (meet @ Armory), and group hikes @ Broughtons Wildlife Area on Saturday and Sunday morning (more info below).